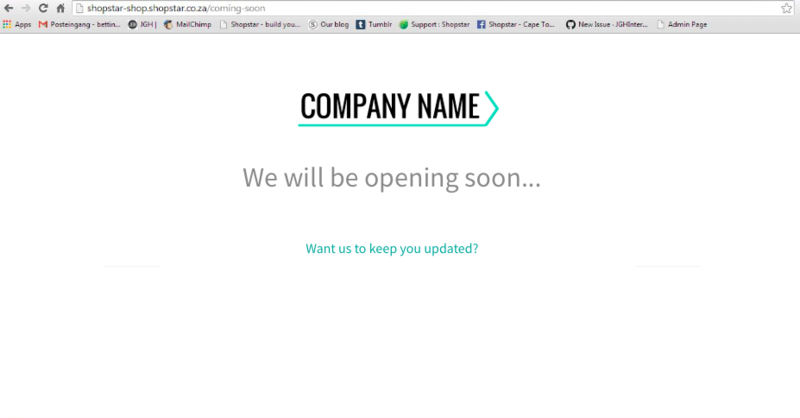 A splash page "Coming soon" is automatically created when you register a shop. It is also the page from where you log-in to your shop's backend. It will look similar to this page. The email displayed is the one used to register the shop.